Phillip Lindsay continues to put up numbers. He faced a porous Bengals defense, which helps, but his 157 rushing yards for an undrafted free agent are impressive nonetheless. Lindsay needs just 168 rushing yards over the remaining four games to break the record for the most rush yards for a rookie UDFA. And to think he wasn’t even invited to the NFL Combine! 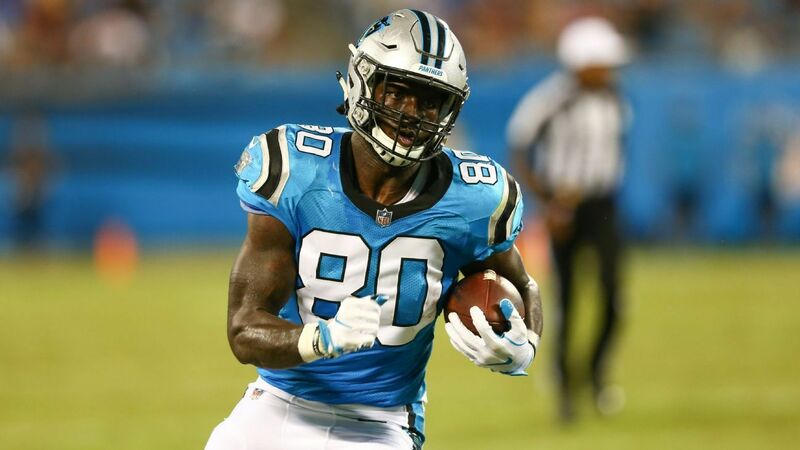 Three rookies you should be adding this week off waivers are Jaylen Samuels, Justin Jackson, and Jeffery Wilson Jr. At the very worst, Samuels will have the passing work locked down for the Steelers. Jackson seemed to have more burst than Austin Ekeler against Pittsburgh, and the 49ers literally have nobody else in their backfield. Wilson showed out pretty well, too, putting up 134 total yards on 23 touches. Nyheim Hines had his first double-digit PPR game since Week 8, and also saw his highest snap percentage – 59% – since Week 5. I wouldn’t trust him the first week of playoffs, but if he puts up another solid week this Sunday, he might warrant FLEX consideration the week after. After Dante Pettis had 77 yards and a touchdown in Week 12 I suggested holding off on buying him, after a couple down weeks were sure to come. Welp, hopefully, you didn’t listen to me. Pettis doubled down on his respectable game last week to the tune of 129 yards and TWO touchdowns. Now you’ll have to wait to buy him because A) his price will be inflated and B) your trade deadline has likely passed. Maybe I won’t be wrong, after all. Michael Gallup had his second-highest yardage game in Week 13, going 5-76 on 7 targets. I was a fan of Gallup early on in the evaluation process last year, and with Amari Cooper now getting all of the attention, it should open things up for the CSU Ram. Another rookie that has seen his situation on the rise is Antonio Callaway. He’s now strung together two solid performances in back-to-back weeks, and with the Cleveland offense seemingly turning around, he should be in a good situation moving forward. Unless, of course, the front office Brown-it-up and in the process surprise absolutely nobody. I’ve fallen for this once already this season, but with Greg Olsen out for the rest of the year, Ian Thomas is set to become the starting tight end for Carolina. In Week 13, after Olsen’s exit, Thomas went on to put up his best game of the year, with a 5-catch, 46-yard effort. With how bad the tight end landscape is in general, you could (probably) do worse. That’ll wrap it up for the Week 13 Rookie Review! Huge thanks to Football Outsiders, Pro Football Reference, and AirYards.com for their incredible resources. For those with a playoff matchup this week – best of luck! To those who are on the outside looking in – now is definitely not the time to get lazy! Use this article and the Datasheet to your advantage. You could pick up one of these rookies on the cheap, only to see their value sky-rocket a few months from now.